Apparently they say in Brazil that on the 7th day God created Rio and when you are there amongst it, it is certainly easy to believe. 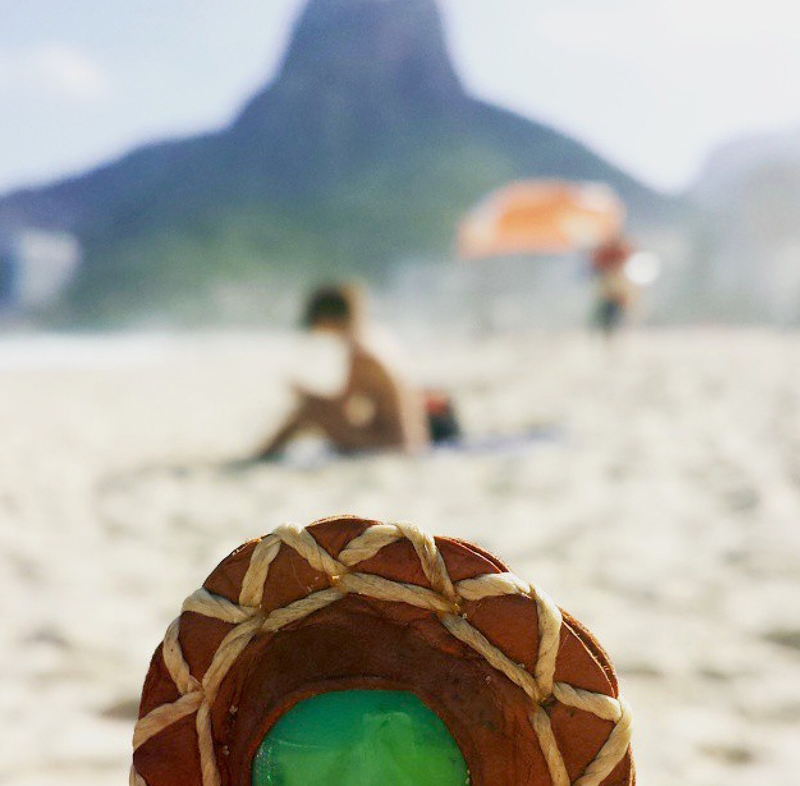 Rio is high in energy from the funky bongo rhythms of Lapa to the chilled beach corners of Ipanema. Viaje: Copacabana is no more then 30 minutes from Rio’s domestic airport Sudo Dumont and should cost you around 30 BRL. From the International airport a taxi to Copa should cost you no more then 70 BRL. Some taxis may charge you extra for large bags so be weary of this. However, this only happened to me once and the taxi driver was absolutely insane. In times like these it’s easier to just give over a couple more reals. Snoozing: We rented an apartment overlooking Copacabana beach through Air BNB. As awesome as it was I would recommend any traveller to look for accommodation around Ipanema and Leblon in order to be closer to the action. 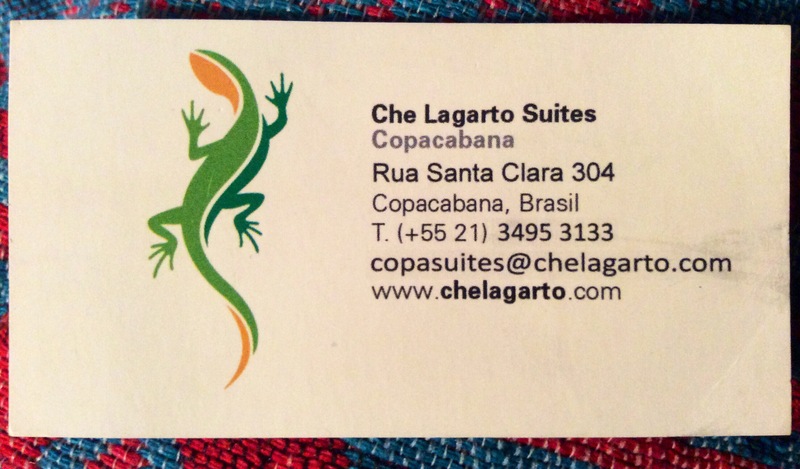 At the beginning of our G Adventures tour we stayed at the Che Legarto hostel Suites in Copacabana. The hostel rooms were so neat, clean and tidy it felt like you were staying in a hotel. The theme ‘Life is now’ was an inspirational way to begin an amazing South American adventure. A must try when in Brazil and particularly in Rio is a natural Acai bowl. This purple berry is only found in the Brazillian Amazon jungle so make the most of it while you are here. Acai is full of antioxidants and good for all things health. If you are one for ‘super foods’ then this berry is for you. Just be sure to request no sugar and definitely get the granola. If you are feeling a little cheeky the condensed milk is a tasty accompaniment. Bibi restaurants are incredible for ‘make your own’ salads. You are given a list of wonderful food items to make your own salad using 15 ingredients plus dressings. I am a big eater and the small size was plenty to put a smile in my belly, on my face and warm my soul. The prices are cheap for what you get and the crepes are also worth ordering too. 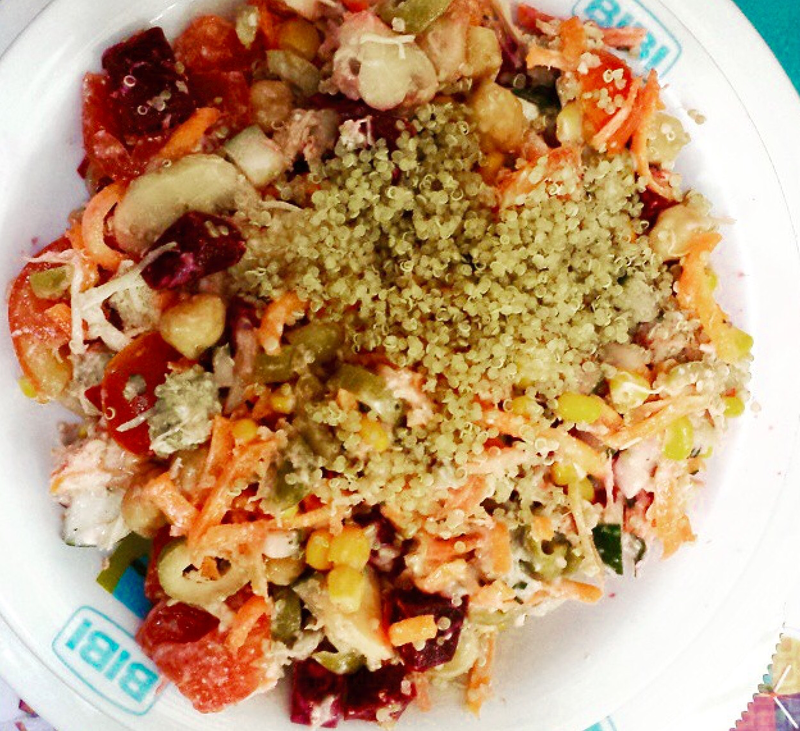 Delisiro tropical is another awesome salad bar worth the money. It’s cost 17 BRL for a massive plate with 2 salads of your choice (more salad options cost more money but worth every real) & you can also purchase side orders such as quiche, meat I.e seasoned/marinated chicken, pork, beef etc. Hiking: for approximately 150 BRL you can wake up before dawn and hike the to the top of the Two Brothers Mountain. A friend of mine did this and got some absolutely breathtaking photos of Rio (See above) in transition from night into dawn. The sunrise looked epic and I wish I had my known about it earlier myself as it is now on the Rio bucket list. Rory booked through Jungelboy. 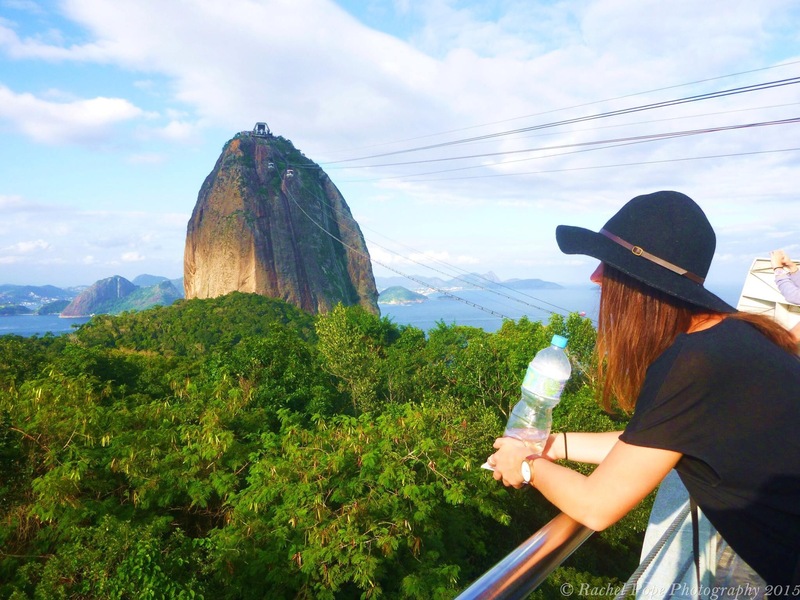 For an impressive optical illusion you can hike up to Telegrafo and ‘hang off a cliff face’ also overlooking Rio. Chi arranged this by simply pulling over a cab and requesting to get as close to his place as possible. It took approximately 1 hour from Copa. Enjoy the beaches. From Copacabana it was approximately 7km walking along the beaches via Ipanema to Leblon and took about 1.5 hours taking in the scenery. 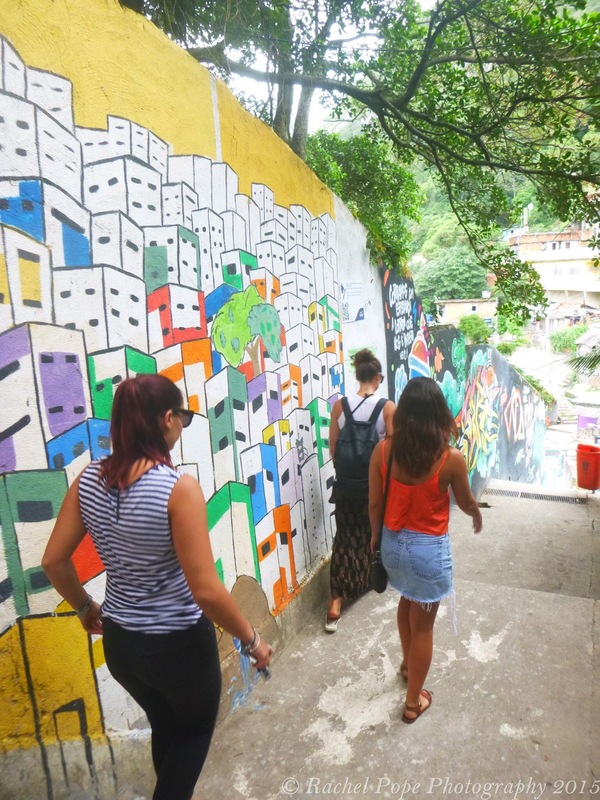 Day Tours: I would highly recommend our day tour we did which included; a favela tour to Saint Maria, An all you can eat churasscaria for lunch (minus the dessert bar), meandering through the Tijuca rainforest where we got to spot the tiny monkeys, visiting the Christ de Redemeer & sugarloaf mountain (cable car included) and finally viewing the outside of the World Cup stadium and where Carnival is held. This cost us in total 200 BRL and also included pick up and drop off at out hotel.